December 1942. 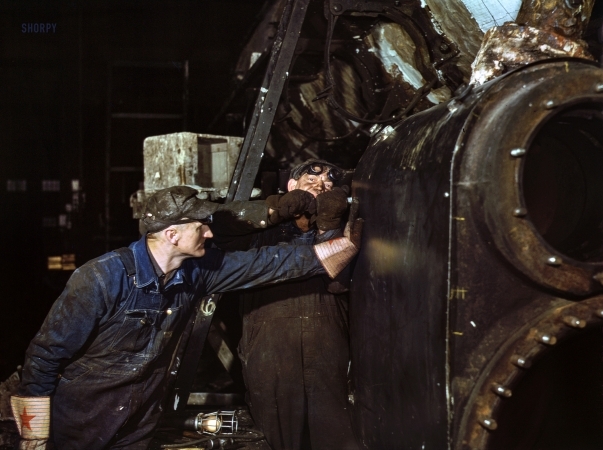 "Working on the cylinder of a locomotive at the Chicago & North Western R.R. 40th Street shops, Chicago, Illinois."